Within 24 hours of being engaged, Shaun and I had booked a villa in Phuket for our wedding. Having never been to Thailand before, we very quickly realised that we wouldn’t be able to plan a wedding from Sydney without some help. We got in touch with Take Us to Thailand. The most important thing for us was that our wedding be relaxed and the girls summed this up beautifully – it was going to be “a party with vows”. The wedding planning process was easy for us – the girls provided options and Shaun and I just made decisions. We had meetings over the phone, on skype and face-to-face when the girls were in Sydney. 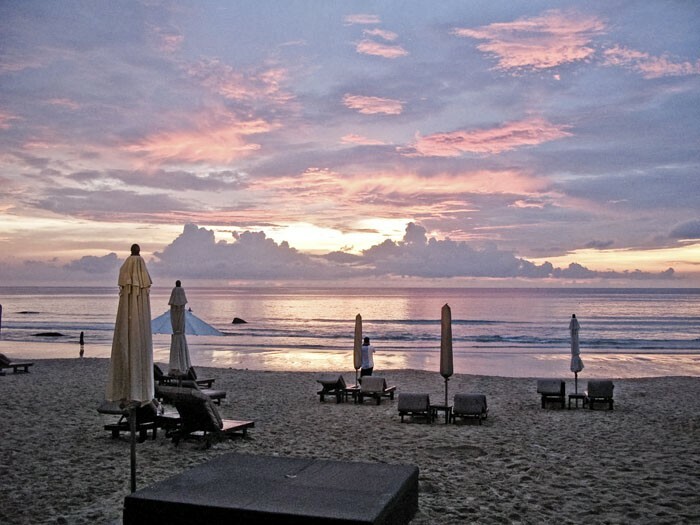 Take us to Thailand organised for the staff at one of Phuket’s luxury resorts to do the wedding catering. All the staff were delightful and the food was fantastic – our guests told us it’s the best wedding food they’ve ever had. With Take us to Thailand direction the Villa was breathtaking. Their attention to detail with the flowers, candles, lanterns and other decorations was excellent and everything was packed away within 2 hours of the last guests leaving. Take us to Thailand offered up front to be at the wedding on the day, but Shaun and I said that since it was going to be so relaxed and easy and we weren’t really stressed about anything, we wouldn’t need them. With a few weeks to go, the girls offered again and we took them up on their offer. And we are so glad we did. The day was flawless –everything was perfect and I have no doubt that we couldn’t have done it without their tireless planning for the months leading up and help on the day. Thanks Take us to Thailand for helping make our wedding the best wedding ever! Now back in Melbourne and back to reality! What a wonderful time we had and the most perfect Wedding. You girls have a class act going. Emily’s Grandma is loving telling all her friends how marvellous it all was. We all have lots of lovely memories.